The New Skoda Superb 2016 costs Rs 22.68 lakh (ex-Showroom, Mumbai). The Diesel model has a base price of Rs 26.39 lakh. 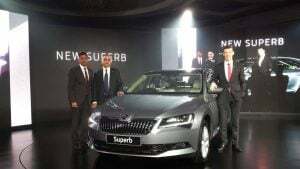 In India, the Skoda Superb will be available with a petrol and a diesel engine option. 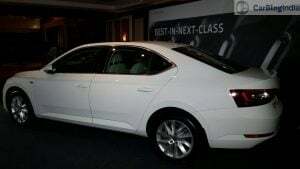 The petrol engine is a 1.8 TSI (180 PS-250 Nm) while the Diesel engine is a 2.0 L TDI (177 PS-350 Nm). The 1.8 petrol comes with the option of either a 6-speed Manual or a 7-speed DSG. The 2.0 L diesel is mated to a 6-speed DSG. The petrol Superb delivers a healthy 14.12 kpl (Manual) and 14.67 kpl (Automatic) and the diesel returns an impressive 18.19 kpl. The new car’s front-end is characterized by a large grille and rather sharply styled headlamps that boast of LED fixtures. When viewed in side profile, the Superb impresses with its clean lines and the gently sloping roof, The latter, in words of Skoda, bestows the new model with the appearance of the luxury-coupe. At the rear-end, the car gets LED taillamps that have the typical Skoda C-motif. Overall, the new sedan has just the right amounts of sophistication and aggressiveness, which makes the 2016 Superb among the most well-crafted models from the Czech automaker. In the words of Skoda, the new sedan’s interior space has a more “modern, elegant and sophisticated look”. 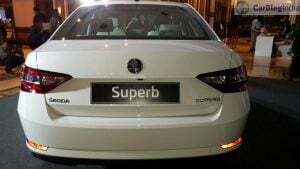 The manufacturer goes on to say that the new Superb benefits from a “new level of comfort, new technical solutions and high-quality, precise workmanship”. The new car benefits from 157 mm of more rear leg room and 69 mm of better elbow room. The car has a large boot, with a maximum capacity of 625-litres (again, 30 litres more than the earlier car). 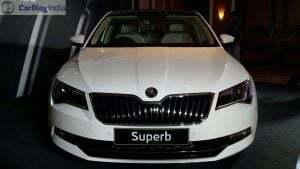 Stay tuned to Car Blog India for latest news on the new Skoda Superb 2016 India launch, price, features and other related details. 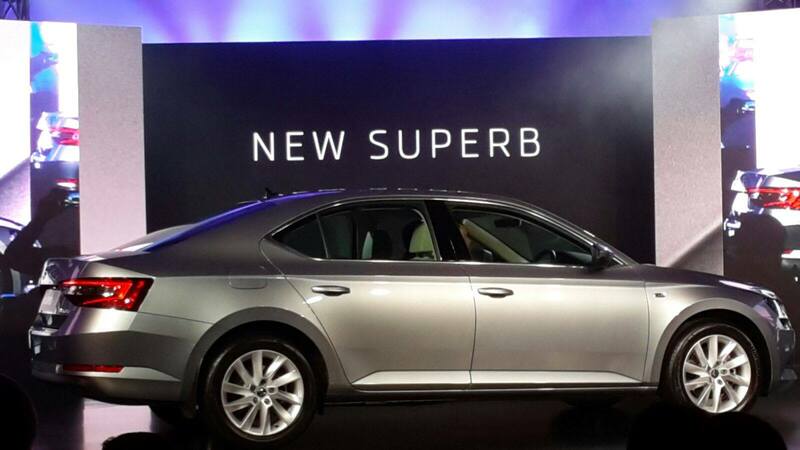 Also, stay tuned for a comprehensive new Skoda Superb 2016 review and test drive report.